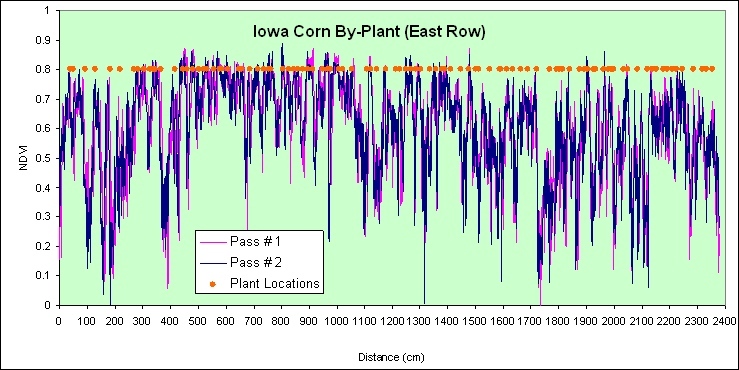 Average corn grain yields plotted by plant, every 2 plants, every 3 plants and every 4 plants, Ames, IA 2004. 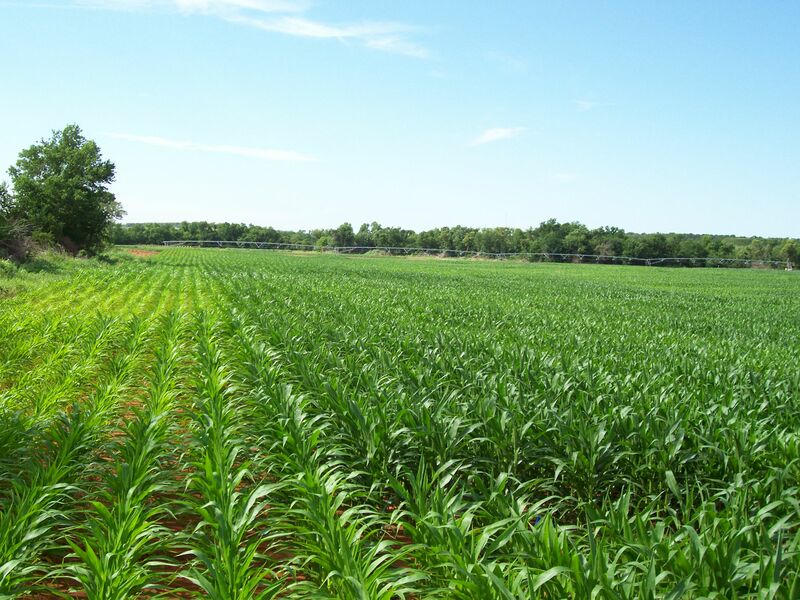 Shelton, NE, MSEA Site, USDA-ARS 2004. 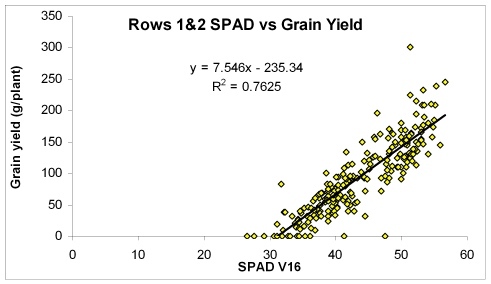 Work by Paul Hodgen, Kent Martin, and Kyle Freeman has shown that SPAD readings taken "by-plant" at V16 were highly correlated with final "by-plant" grain yields. 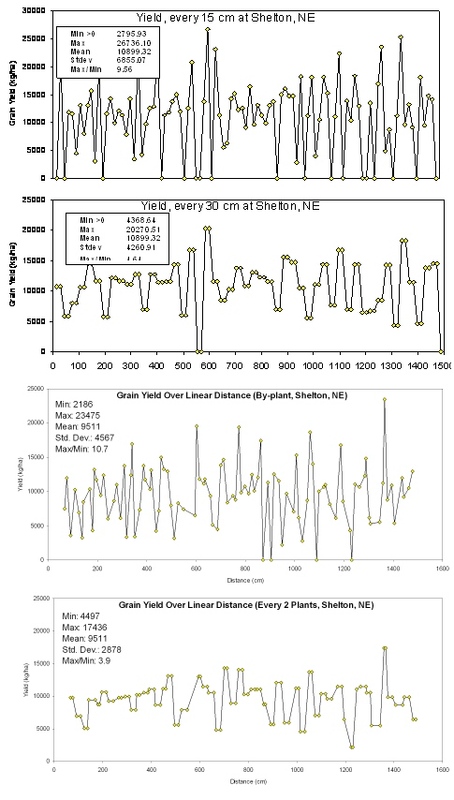 This relationship would not have been observed unless the by-plant resolution had been used. 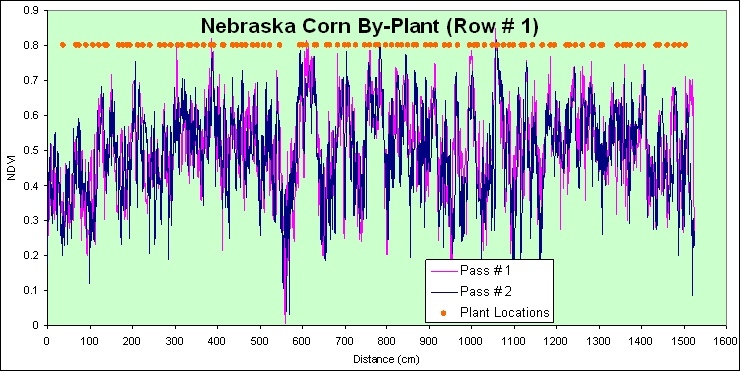 Reproducibility of NDVI readings over 16m using an on-board shaft encoder, with 50 corn plants sensed at the 7-leaf growth stage on May 23, 2003, Perkins, OK.